I have no pictures. No "visible proof" of what happened last night. But that's okay. I have what is in my heart, and that is all that counts. And because this blog is, very simply, a reflection of the things on my heart, I will dig in deep and share with you, in words, about my God Who is still in the business of healing and freeing the souls of men and women. My God Who specializes in REDEMPTION. My God Who so gently shows me how very ungrateful I often am, and how much I really have. Every year I think I understand. I think I understand what I have, how blessed I am, and all of that. And yet every year without fail I have to fight falling apart when I get up in front of that room full of women. Now, you have to understand that I am not an emotional person. At all. I have a very strong personality, and qualities like gentleness and compassion are ones that I have to work on daily. They do not come very naturally for me. I honestly only cry about once a year. And that once a year is the night I sing in a women's prison. Being in prison and seeing so much pain up close and personal like that, gets to my heart like nothing else. It breaks me and touches the deepest parts of my heart. let the prisoner go free, join the dance and sing!" Almighty most holy LORD, glorious, almighty God." and I was awed anew at the thought that this ALMIGHTY GOD has placed me in the world's best family, given me a beautiful life, saved my soul, and blessed me in every way imaginable. I deserve no different than any of those prisoners. My sin is just as great as theirs. I could have so easily been one of them, BUT FOR THE GRACE OF GOD. Just thinking of all this was overwhelming. later, I sat back along the side and observed their faces as my little siblings sang for them. I cried just watching them. There were women who were shaking with laughter one minute at Rebecca's expressions, and sobbing into multiple tissues the next. The pain and joy mixed on their faces was so raw, so deep. I watched them just drink in the sight and sound of little faces and voices, and then I saw their cutting pain as they remembered that they had once had this joy of children but had lost it because of the decisions they had made, that had gotten them to the place that they were at. As I played the invitation hymn I watched the women getting out of their seats and coming down the aisle to get saved. I could hear them praying and weeping as they knelt all around the front and cried out to Jesus. I felt the peace that just settled like a mist over that whole front area. I saw the joy in their faces when they got up and returned to their seats. I really can't describe it, but it is the most amazing thing to watch. After we got back and were eating dinner with the other volunteers and singing groups, one of the volunteers told us he wanted to meet with our family. As we gathered around he began to read a letter to our family. It was a letter he had been given earlier in the day, by an inmate who came to our service at his prison three years ago. In the letter the inmate told us how he had always stayed away from God/Christian services and things like that, but that particular night that we came to his prison he decided to come out. In his letter, he told us how God had used Rebecca to touch his heart and show him his need for a savior. He told us how he got saved that night, and how he still reads his Bible every day and is living strong for Jesus. touching lives like this-it is so worth it. so worth the homesickness, the little petty trifles that I have to give up to be on the road. I think I sacrifice? My sacrifice is nothing. Just thinking how Jesus sacrificed so that I CAN KNOW HIM, puts it all into perspective and I see how blessed I am to just be in His service. Honestly there is no place I'd rather be this week. Prison ministry has been one of the greatest blessings in my life and I am eternally grateful to my Jesus for showing me His heart for these prisoners, and giving me the opportunity to share His truth with them. The joy it gives me is indescribable, and I am so grateful. Oh WOW , what an incredible blessing to be able to see God work in the lives of those women, so wonderful!! True, our sin is as great as theirs, praise the Lord ,that by His mercy and grace He does not give us what our sins deserve!! Y'all are in our prayers! Thanks so much for this post Chels! I keep up a correspondence with a prison inmate in Ohio, which I wouldn't have volunteered to do if not for that still small voice that kept pulling at my heart until I finally let go and let God as I have had to do in so many times past. But in this scenario, as in every other one like this when I give in to his calling, I found myself blessed beyond measure by our consistent letter writing. I am still keeping in touch and it's hard sometimes trying to imagine a life like the ones those people lead, because it's so different than mine. But God has been dealing a lot with my heart lately as well, showing me just how sheltered I've been over the years. This has become increasingly more evident to me in the days in which we are living, especially after I heard the song "Sheltered by His Grace". I'm reminded again and again of His unfailing love and grace. It never leaves us, even when we fall down and lose our way, He still loves us. Always. And not just me and you; He loves everyone, no matter who we are, where we are or what we've done. Keep on serving The Lord! I LOVE that song, too, "Sheltered by His Grace". It definitely is my story! Wow, such an amazing story! It's so encouraging to hear more stories like this! Keep it up! Thank you so much for sharing your heart. I have smiled and cried reading this. I have ministered in jails and know from experience the awesome site of seeing a person's face before salvation and then the shining radiance afterwards. It is amazing and a blessing that the Lord's presence in our life shows up on our face. I don't know of anything that I love more than leading a person to the Lord and knowing that for all eternity He has changed the course of that person's life and influence on others as well. I pray the Lord bless you. You are certainly a blessing to me! God bless you. The Lord's way of humbling us is always so clear and powerful. But you are indeed blessed. And He gives you these blessings because He loves you and when you're serving Him He wants to reward you. I try to be mindful each day of what He's given me, that I don't truly deserve, but I sure am thankful for it! don't expect it. I love sharing songs with them on paper, songs that have ministered to me so much! Praise God! Thank you so much for sharing with all of us. I just love how Ephesians 2:10 says "For we are His workmanship, created in Christ Jesus for good works, which God prepared beforehand so that we would walk in them." God put your family together the way it is so that you all could go witness to these amazing women in prison. And God may have put those prisoners in prison so that they could hear the Gospel through your family. It blows my mind to think of how He orchestrates our lives. WOW! what an amazing, beautiful experience! wow, thanks for sharing your heart. God is always at work and in SO many amazing, life-changing ways. Powerful testimony--keep pressing onward and upward! God is using your family so much. Thankful for the Lord's working in the hearts of these ladies and your family's ministry. Continue pressing forward! I am praying for you all. I came across your blog because I saw your button...and let me tell you, I love it! I am defiantly signing up as a follower. This post is so beautiful! May the Lord bless you! 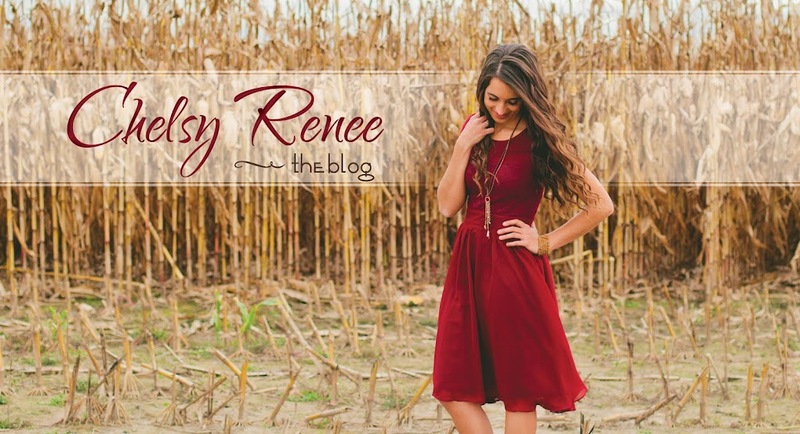 PS- if you have any time, feel free to check out my own little fashion blog! Excellent post! Your heart for the lost and for ministry is so encouraging yet challenging, all at the same time. Thank you. I also think that it is really neat that you all can minister to other people through music as a family. I’m just thinking out loud here, but have you all considered military bases as a playing/singing/ ministry opportunity? Living near a military base, and personally knowing many service members I can say that there is a real opportunity there. There are so many veterans suffering from things ranging from PTSD to general loneliness. Not only that but the spouses and children of deployed soldiers could also potentially benefit. Like I said, though, I’m just thinking out loud. I would absolutely LOVE to get into that kind of ministry, but at this point we haven't really had the contacts/connections to make it happen. Maybe someday! Chelsy, though connections would help, they aren't absolutely necessary. Every military base has what's called an MWR facility/ office which stands for Morale, Welfare, and Recreation. If I'm not mistaken, they have money budgeted to coordinate concerts and events and so-forth. You should try contacting them. if this does not work, you could also try the base chapel/chaplain. Also, there is a sizable homeschool community within the military- chances are that if you go to a church near a base you'll probably find one. Anyway, hope this helps. maybe we can check into that! thanks for the advice! I can't even tell you how much I needed to read this yesterday. I needed to be reminded to get the focus off myself and back onto being a vessel for the Lord and furthering His Kingdom. Oh how great our God is and how humbling it is that He uses us! Thank you for being willing to share your heart on this blog. It is an encouragement to so many! Our family will be praying for you all throughout your travels. Hopefully we get to see you before you come to Shipshewana again this year! Praying that we'll see you all at family camp?! We'll also be coming to Goshen (near Shipshewana) in March! We we're very excited to plan on coming to family camp this year, but we've had something new and exciting come up... baby #4 is on their way!!! We are so excited and thus far it looks like I'm due on September 10th. Once I meet with the midwife we will find out the real due date, but even if we cant come to family camp we are still planning on coming to your place on Labor Day if you're still doing it this year?!? Hope to catch up with you in March! that is SO exciting! congratulations!! (even though we'll miss you at camp if it doesn't work out for you with your due date..but there's nothing more exciting than a new baby!!) Yes, we will still be having the Turning Hearts Celebration on Labor Day! BUT FOR THE GRACE OF GOD!!! That statement really sums up every Christians life. I have been following your blog for a while and not yet commented. I have huge respect for you and your family an praise the Lord for what He is working through you. I would like to ask a question in the most non critical way possible: Do you think that alter calls lead to many false converts? You said they walked up the isle to get saved. I thought that when someone heard about Gods saving grace and really thought about in in light of their sins that they would get saved right then and there, and not wait for an alter call. I definitely don't believe that you have to "walk the aisle" to get saved. Not at all. I don't believe how or where or when it happens matters to the Lord AT ALL. It just so happens that in prison alot of the inmates have no idea how to even pray, and so we just ask them that if they want to get saved, they can come to the front of the room and then a volunteer is able to pray with each person and explain more one-one-one how to get saved. Its easier to explain when you can pray with a person one-one-one, as, especially in prison situations, there are various questions/uncertainties that the prisoners have, that they wouldn't ask in front of everyone else, but they will ask if they are praying with just one person. We are called to share the gospel and we want to give those we are sharing with, an opportunity to respond and get saved if they want to! Thank you both very much for those answers. I do hope that I didn't come across as rude when I was asking that question. When you explain it like that Chelsy, I understand why you do them better now. I had assumed that an alter call was just that the people go up to the front, repeat a prayer, and then are told that they are saved, which you and I know, is not how it works! Please keep up the good work on the blog!! This is beautifully written, my dear! It moved me to tears. We're praying for you all! amen! thanks for the comment; looking forward to seeing your family in April and again in May! !